Canada, one of the largest countries in the world is a great place for students of all ages to go to learn and explore. Whether you want to see the snow covered mountains of Quebec or one of the region’s most popular attractions—Niagara Falls, you’ll find that Canada is one country that has plenty of places for you to see and visit. Imagine how living there while you pursue an education may benefit you. If you are currently in the process of enrolling in college or have a few years or semesters left before graduation, you should consider studying abroad in Canada. You can explore a new country and submerge yourself in a different culture, while gaining firsthand experience to enhance your career and financial potential. Living in a foreign country while studying abroad can be an eye opening experience. Not only do you get to see new places, meet new people and indulge in many of the local and cultural activities, you also get to gain a whole new perspective on life as a Canadian. As the second largest country in the world, you may find that there is no shortage of opportunities for you to consider. Depending on your current education program and goals, you may want to consider expanding your potentiali by exploring alternative education and career paths. You could finish your current program in the United States and pursue higher level education as a study abroad in Canada student. While studying in Canada, you can learn more about the world around you. Your personal experiences while living abroad may also provide you with a greater understanding and appreciation of the Canadian culture. You could also explore different intern opportunities so you can gain better insight as to what you can expect when you decide to pursue a particular career internationally. If you are interested in working internationally, then it is a good idea for you to study in Canada. This opportunity may help to provide you with a wider network and access to a stream of opportunities that you may not have access to by studying in your native country. As a graduate of a study abroad in Canada program, you may find yourself in a better position to actively seek out promising careers that hold the promise of lucrative financial compensation. 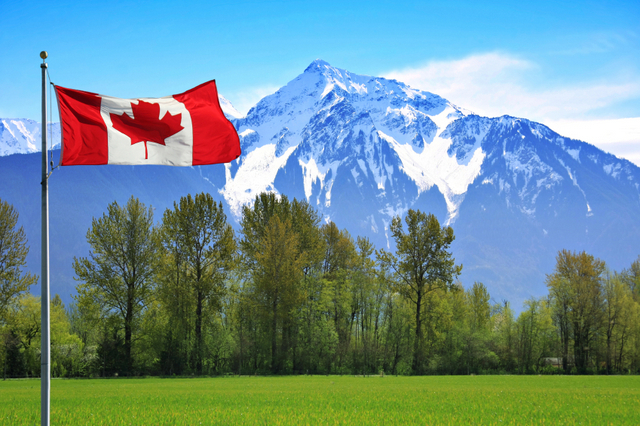 When choosing Canada study abroad programs, you should consider a variety of factors. In addition to the cultural differences you’ll encounter, you should also decide if you are willing to learn a whole new languageii, like French or brush up on your French speaking skills. There are many study abroad in Canada programs available to choose from. Although you are interested in exploring a new country, you should also consider what learning environment and living situation is best for you. Take into consideration the cost of living and policies of the institution you decide to enroll in. Find out how many and which credits will transfer to your school of choice in Canada. Also, be sure to decide how long you want to stay abroad. Many study abroad programs allow you to stay for weeks, months, semesters and even years. As you begin to explore your options, ask yourself if studying abroad is right for you. It is not right for everyone. However, if you are the type of person who loves to explore, have new experiences, picks up languages easily and is interested in achieving your goals from a whole new perspective, then studying abroad in Canada may be a good opportunity for you to take advantage of. Feel free to visit our Resources section to learn more about how studying abroad in Canada can change your life. Lingua Service Worldwide, Ltd.Lingua Service Worldwide, Ltd.
General French as Second Language. Are you looking for a way to improve your French language skills? BLI offers unique French courses in Montreal and Quebec City. We offer different options for you to choose from depending on your interests and academic or professional goals. General English as Second Language. Harbor seals, humpback whales, Dall’s porpoises and California sea lions converge each summer on the spectacular British Columbian coastline, providing the unmatched opportunity to study marine mammals in their natural habitats. Small classes so the curriculum is based on the students needs. TOEFL, TOEIC and IELTS preparation. Business English is also offered. Focus is on conversation, vocabulary building, pronunciation, reading comprehension,grammar and writing. Georgian college offers Under Graduate Diplomas, Certificates and Degree Programs in Business, Community Studies, Design and Visual Arts, Engineering, Computers, Business, Health and Wellness Studies, Hospitality and Language studies.